“If you were an animal, wild or tame, would you know your daddy’s name?” Every page answers this question with a different animal. 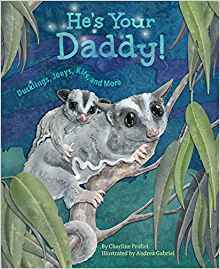 Meet a joey riding piggy-back whose daddy is a sugar glider, a calf whose daddy is a towering giraffe, and a tiny fry floating next to its seahorse daddy. Children will be delightfully surprised by the animal in the middle of the book, and dads will especially appreciate the scene on the last page. 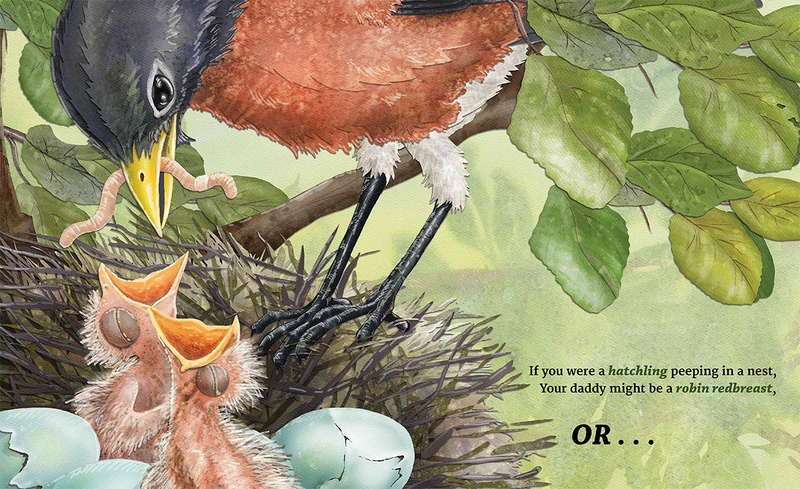 Rhyming verses describe animal characteristics, and watercolor illustrations capture the feeling of all the different habitats, making every page a teachable moment. 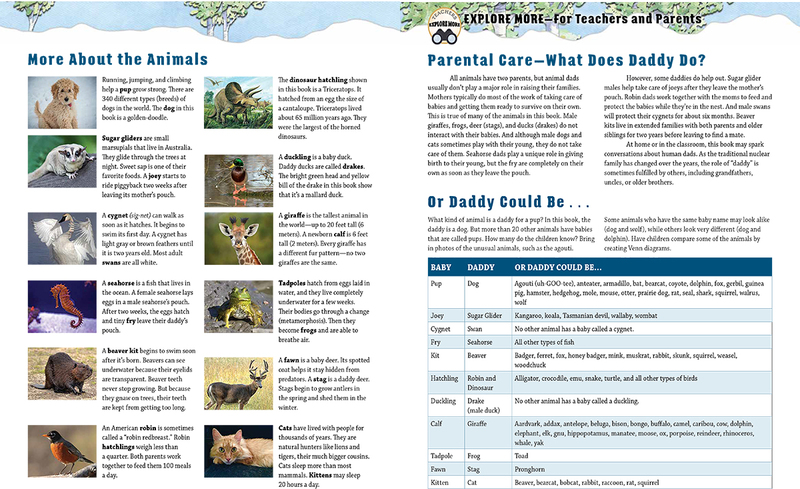 The book is complemented with useful and well-thought-out enhancements: a narrative to spark conversation, further information on all animals mentioned in the previous pages, a matching game, and tips for reading. It’s a celebration of the father-child bond. About the Author: Award-winning children’s author Charline Profiri is a former teacher (K-3) and a member of the Society of Children’s Book Writers and Illustrators. Charline’s writing has appeared in Highlights for Children, Highlights High Five, My Friend, Pockets, and The Institute of Children’s Literature Rx for Writers, and has won awards from the Abilene Writers Guild, Children’s Writer, and the Society of Southwestern Authors. In addition to writing, Charline enjoys giving presentations at schools, libraries, book festivals, bookstores and conferences. 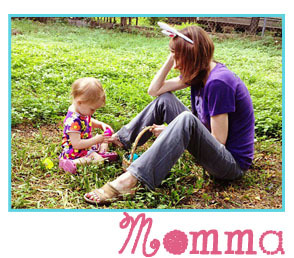 She also maintains a website: www.cprofiri.com. About the Illustrator: Andrea Gabriel has been illustrating children’s nature books for many years, and hopes that her work will help young people develop a passion for the natural world that follows them into adulthood. She lives in Bellingham, Washington, with her family of two- and four-footed creatures. Daytime, Nighttime, All Through the Year is Andrea’s first book with Dawn Publications.